Make money with adsense is the dream of many AdSense gold rush miners. The job of making money with AdSense is not an easy one, but it still is possible to make money with AdSense. This guide is based on many years of experience in web development and promotion and provides a collection of some of the best ideas and tips & tricks about the " Make money with AdSense " money machine. Now let us review what we have to offer. All approaches described in our Make money with AdSense guide provided below are based on many years of experience with making money online, were tested many times, and are continually being improved. Because Internet is quickly evolving, neither of these approaches are set in stone. Most of them evolve and their implementation depends on the content of your web site, on your visitors, on your niche, and on your situation. Nevertheless, if you take the time and customize our tips and tricks to your needs, you can bet that you WILL make money with AdSense! Many people that want to make money with AdSense and are new to web design think that putting a frame around their AdSense ad unit and giving it background color will improve the Click-Through-Rate (CTR). Unfortunately, the opposite is usually true. Statistics proves that ads that look as much a part of your web site as possible generate the most clicks. There is a reason for this. 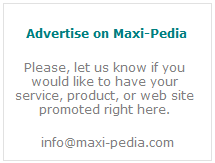 People do not want to click ads. They want to click something that interests them. If you design a colorful and attractive banner that screams "Hey, I am advertisement, click me!!!!!" a such ad will get the least response. If you blend in your ads, readers will see the ads as helpful links not annoying adverts. Our experience shows that placing an image or photograph right next to an AdSense ad greatly improves Click-Through-Rate (CTR). The idea behind this make money with AdSense tip is that images and pictures tend to attract attention and the result is always more clicks than before. If you want to make money with AdSense, you have to pay attention to where you place your ads. Most web site templates are built so that they allow addition of a 728x90 px banner at the top of the page. The truth is that these banners are very little effective. Most visitors completely avoid them. When designing your web site, use the top-to-mid section ("above the fold") on the left side of the screen for advertisements. That is the section where your visitor's eyes go first, and where they spend the most time. Second, to make money with AdSense, your AdSense units need to be positioned in a manner that would make them look like organic parts of your website. You can for example create a link AdSense ad unit and place it to the spot where most visitors expect some menu. This is often neglected and may seem trivial, but it can have significant impact on the money you make with AdSense. It is better to use wide ad boxes (banners) because they are easier to read than tall and narrow ad boxes (skyscrapers). We are used to reading across the page so the brain is happier to digest the horizontal ads which means more clicks and therefore more money with AdSense for you. When you have too many links on a web page, the probability that your visitor clicks an ad decreases. So, the advice is to display only the neccessary links. Banner blindness relates to the following question: "Should I use text-based or image AdSense units?" People are tired of clicking ads, and when they see one, they tend to avoid it, unless it really really catches their eye. People learned to be immune to ads because they are everywhere. There is just too many of them around us. So, if you use image AdSense units, you will see lower Click-Through-Rate (CTR) compared to text-based ads. On the other hand, because image ads get clicked less, advertisers have to bid higher which means higher Earnings-Per-Click (EPC). You get paid more for each click, so at the end you might make more money with AdSense that way. To answer which is better whether image or text ads: "It depends." You can make money with AdSense with both image and text ads. Fortunately, there is a very easy way to determine which ad type generates more revenue for you. Set up 2 channels in your AdSense account and tie one of them to a text-based banner and the other one to an image banner. Run each banner for 2-3 weeks and then compare which gives you more total revenue. If you really want to make money with AdSense, you have to think outside the box. Most people usually write a page, throw in a few AdSense ad units, and that is it. Matching the content of Adsense ads to your content does not always work perfectly, and you often get ads that are about something that does not relate to your web page content. Wise AdSense money makers carefully study the AdSense ads that are common at their web site and then develop content that is closely related to those ads. AdSense reverse engineering should not be your main activity, but it can explore some profitable content in addition to your core business. Next we will talk about strategies related to building traffic and increasing impressions. To make money with AdSense, you do not need to have zillion of pages on your web site. It is better to have 100 high-quality content pages with thousands of visitors than to have thousands of low-quality pages with low traffic. The reason is in two ways: A) People like to come back to good web sites. They often spread the word of mouth and bring new visitors. B) AdSense is better at ad targeting when it finds good content. Constantly building organic traffic is the most effective way of increasing AdSense earnings and this make money with AdSense tip. Nevertheless, keep in mind that the traffic cannot be generated overnight. You have to give your site some time. If you want to make money with AdSense, you have to be indexed by search engines. You can either wait until a search engine finds your web site and indexes its pages (which can take months for new and small web sites), or you can add your site manually. See this article: How to add URL to Google. Do not focus on just Google. Add your web site to Yahoo, MSN, and others too. In case you use only a few web pages to make money with AdSense, you can skip this section. But if you ad new pages to your web site frequently, you might want to tell Google to increase the frequency with which it crawls your web site. This will get your new web pages listed in the search engine more quickly. See here about How to increase Google crawl rate. This Make money with AdSense tip is a bit time consuming but no less important. If you want to increase your site impressions, people have to find you. This is important not only for people but for search engines as well. You need to have links back to your web site if you want get indexed by search engines. Keeping track of all these sites and submitting to all of them is an overkill, but if you have a good article, submitting it to these services will help your AdSense earnings a lot. Your success with submitting your articles to these sites depends on three factors. You need to submit your article to bookmarking services that are as relevant to your subject matter as possible. Your article headline has to be very attractive for readers to open your article. Your content must meet the promise of your sensational headline. Anything less will leave your visitors feeling cheated and annoyed which is the exact opposite of what you want. We know, this Make money with AdSense guide is getting long, but there is still a lot that needs to be explained. Google sitemap is one of the tips to help you to make money with AdSense. New and small web sites are handicapped by Google. When Google visits a small or new web site, the crawler visits only a few web pages at a time, and it may take many months before Google indexes all your web pages. You can speed up the process by telling Google where to go and what to index by providing the Google sitemap: How to create Google sitemap. Here is another Make money with AdSense tip from our guide that relates to impressions. We already said it, but this is so important that we must say it again: You need to build links pointing to your web site. Exchanging links with other web sites is one way. Referencing your web site in articles, discussion forums, or blog comments is another way. One important advice is that you should focus on exchanging links with web sites that have content similar to your web pages. This relates to building links and increasing impressions, but we feel it is important to mention this make money with AdSense tip separately. Getting listed in GOOD and RESPECTABLE directories not only brings you visitors but also helps to build your web site image. Some directories help you also with your search engine ranking. For example, get listed in the DMOZ directory, and you make money with AdSense in a blink of an eye. It is important to mention that not all directories are equal. Although every single link theoretically gives you some juice, you want to avoid low quality directories, and especially you want to avoid link farms. You want to avoid link farms at all costs! Google hates low quality directories and link farms. Writing posts in discussion forums is a great technique to build traffic and make money with AdSense. Writing posts in discussion forums benefits you in two ways: A) page rank, B) traffic. It is obvious that when someone mentions your web site in a discussion forum, other people will visit you -- not much to add to that. The other point is that when you participate in discussion forums that do not use the nofollow tag (See here: nofollow meta tag) and do not block link juice flow through other means, those links pass page rank and help you in search engine rankings. Note, avoid spam forums. Look for forums that have content similar to your web site. It is no surprise that people greatly underestimate the power and potential of email signatures. Email signature is a viral marketing tool. Emails get forwarded all the time and are often copied to many unknown people. If you want to make money with AdSense, create a signature in your email that points to your AdSense web site. Note, writing effective email signatures is not easy. A straightforward advertising message is not always the best option because people do not like to be directed to go online. For example, using famous quotes with a link to your web site is more effective method and another great way that helps you to make money with AdSense. We are all receiving tens or hundreds of unsolicited emails to our email boxes every day. Why not take advantage of these? You can make money using these emails. The idea is that senders of unsolicited emails patiently await every responce they get. They do not get too many responses to their emails because everyone uses spam filters nowadays, so you can be sure they are glad for every reply they get and do open it. You can take advantage of this and send them a nice catching email that will invite them to your web site. Maybe you have noticed that some web sites include the "E-mail this article" feature. Take a look at the bottom of this article. Scroll down, and then come back. This feature allows a visitor to enter someone's email address into a form and email a link to this article to a friend (please, do so). This allows people to send your post or article to other people and is a great tool in our Make money with AdSense guide. The E-mail this article feature won't produce any immediate and noticeable results, but more and more people will become aware of your web site over time, so this functionality allows others to publicize your web site for you (for free) = more AdSense money for you! In general people like web sites where they can download something for free, such as MP3 files, software, etc. These are the biggest money making web sites. Try to deliver content which includes something for download (maybe an eBook?). A such content will make visitors to come back. Ok, now we are getting tough with our Make money with AdSense guide, but keep reading. This tactic focuses on impressions and is more difficult to achieve, involves some risk, but has potential for unimaginable returns. Some people made a fortune on AdSense, see here for a few examples of people's checks: AdSense revenue and AdSense earnings. The success of your AdSense money making scheme depends on the volume of traffic you are able to generate for your website. You can try various marketing tricks, but so do thousands of other people. This has led many developers to try out Pay-Per-Click advertising to bring traffic to their web sites. You do this through advertising your own web site through Google AdWords (if you are lost, see here Difference between AdSense and AdWords). I hear you asking "How do I make money with AdSense, when I am supposed to spend for every click in Google AdWords?" Full explanation of this approach would require an article on its own, so we won't get into the details, but the concept is that you market your web site through AdWords using some cheap keywords (See here: How to find cheap AdWords). Your web site must be designed so that your visitors (that you lure in through AdWords) click an ad which based on the content of your web site is a high-paying ad (for example web sites about mortgages have high EPC). There are however risks involved in this make money with AdSense technique. If you do this wrong, you can spend more in AdWords then you make with AdSense. Google also does not like this approach. Now let's get to the third part of our Make money with AdSense guide. Should you have questions about how to make money with AdSense, please, visit our SEO discussion forum.